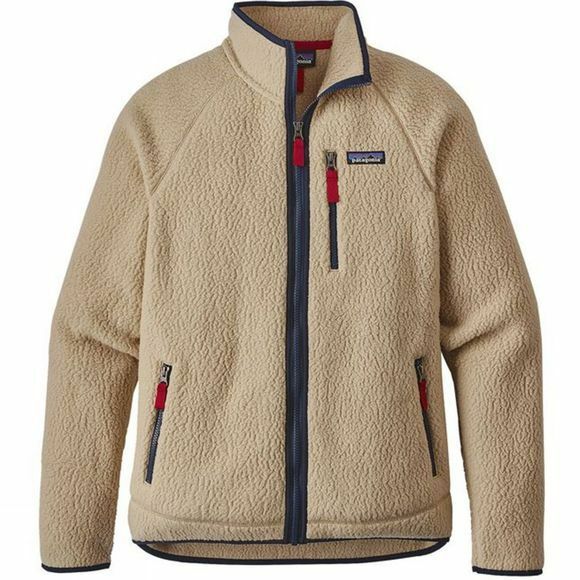 The Men's Retro Pile Jacket from Patagonia is back and better than ever. It’s double sided for extra warmth and comfort. The tall collar is built for more warmth. It features elastane stretchy edges on the cuffs, hem and zip. It has handwarmer pockets that mesh-lined and the flat-seam construction leads to a less bulky jacket so you don't feel so sheepish wearing it.